People of different generations and cultures share their experiences of migration and living in Australia. Read ten stories! A Bankstown City Council and NSW Migration Heritage Centre project. Shortlisted 2007 NSW Premier’s History Award. Winner 2007 Museums Australia Multimedia And Publication Design Award. NSW Migration Heritage Centre website. A NSW Migration Heritage Centre project. In 2000, the Vietnamese Australian community celebrated the 25th anniversary of Vietnamese settlement in Australia. As part of this celebration, an oral history project was established to reflect on the community’s past, present and future, and to provide an opportunity for Vietnamese Australians to tell their own stories in their own words. The NSW Migration Heritage Centre celebrated the 60th anniversary of mass migration following the Second World War at a reception at the Powerhouse Museum on 12 March 2007. For many migrant communities national parks are important landscapes for outdoor celebrations and festivities and for continuing social traditions. A NSW National Parks and Wildlife Service and NSW Migration Heritage Centre project. The Migration Heritage Centre supported the Hyde Park Barracks Museum’s initiatives to raise the Barrack’s profile as a significant heritage site associated with 19th century female immigration. An Historic Houses Trust and NSW Migration Heritage Centre project. An exhibition and book featuring fifteen Newcastle and Hunter region oral histories of post-Second World War migration memories and journeys and associated collections. A Lake Macquarie City Art Gallery and NSW Migration Heritage Centre project. Winner 2010 National Trust Heritage Award. The post-World War Two migration wave is an important era in Australia’s history. Former migrants share their memories through personal mementos and photographs. The project explored strategies for attracting audiences from a range of social and cultural backgrounds into the space of the Art Gallery of NSW. The project also examined the changing role of museums and galleries in a multicultural society, and ways of engaging broader audiences. This project documents 20 oral histories of the predominant language and cultural groups in Canterbury City. Read our 20 stories! 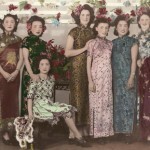 Through stories, keepsakes, photographs and an interactive DVD, this exhibition explored the personal experiences of children who lived in Villawood (Westbridge) and Cabramatta hostels from the 1950s to 1990s. A Fairfield City Museum & Gallery and NSW Migration Heritage Centre project. Through stories, newspapers and photographs, the exhibition traced the history of Jewish communities, and explored their ways of life in Shanghai. This project explored different experiences and attitudes to work. It highlighted the contribution of people from all migrant backgrounds to the cultural, economic and social development of the state. A NSW Migration Heritage Centre project with Wollondilly Heritage Centre at The Oaks; Lambing Flat Museum, Young; and Liverpool Health Services. The contribution of a number of migrant communities to a core industry in the Wollondilly area – the poultry industry. A thematic history of the presence and contributions of Australians from non-English-speaking backgrounds in the New England Tablelands region. By participating in the ‘Education on the Move’ programs, primary and secondary school students were immersed in Sydney’s rich migration heritage as they toured some of the city’s most fascinating streets. The programs included visits to Sydney’s CBD, The Rocks, Darling Harbour and Australian Technology Park. A Sydney Harbour Foreshore Authority and NSW Migration Heritage Centre project. The Lebanese are one of the largest and oldest migrant communities in NSW. An Australian Lebanese Historical Society thematic study has highlighted the migration story and the contribution of Lebanese communities to our heritage. The Fairbridge Farm School, Molong exhibition will place the objects held in the Molong Historical Society collection, which are associated with the Fairbridge Farm School, in their historic context. Coming in 2012. A Molong Historical Society, Orange City Council and NSW Migration Heritage Centre project. A heritage study documenting how waves of migration have formed a diverse community in Fairfield with a shared identity and a sense of place. It is not well known that over 130 nationalities live in the Fairfield Local Government Area and over three quarters of all residents have overseas ancestry. Fairfield is one of the most culturally diverse areas in Australia. Highly Commended 2010 National Trust Heritage Awards. A wave of Chinese migration to the Tweed began in the late 19th century and the newcomers quickly established themselves as market gardeners, banana growers, cooks, herbalists and shopkeepers. All these are recorded through personal stories, photos and historical information in ‘Families of Fortune – Chinese People In The Tweed’. A Tweed River Regional Museum and NSW Migration Heritage Centre project supported by the Chinese-Australian Historical Society. Winner 2008 Local Government Cultural Award. This project explored personal stories of Wagga Wagga’s migrants through videos, a Museum of the Riverina exhibition attracting over 7000 visitors, web exhibition and a highly successful series of public programs with local communities. A Museum of the Riverina and NSW Migration Heritage Centre project. In the 1930s, a small group of Estonians set up poultry farms near Thirlmere which survive today and are now surrounded by some 60 farms. Many of the farmers and labourers are former post-Second World War migrants from Estonia. A Wollondilly Heritage Centre and NSW Migration Heritage Centre project. From The Back Blocks To The Front Lines Co.As.It. This touring exhibition features photographs and memories of early Italian settlers and their families through active participation with the local Italian community. Winner 2002 National Trust Heritage Award. Through weekend and evening classes, students are able to study, value and practise the traditional languages of their homeland. A NSW Department of Education and Training and NSW Migration Heritage Centre project with the Association of Illawarra Community Language Schools Inc. and Hunter Parents & Teachers Association of Community Languages Schools. Highly Commended 2008 National Trust Heritage Awards. After WW2, Griffith’s Italian business interests helped create the Murrumbidgee Irrigation Area as a nationally important place for growing and processing rice, grapes and citrus and stone fruits. A Griffith City Council, Griffith Italian Museum and NSW Migration Heritage Centre project. Explores the ways in which youth from Middle Eastern and Asian communities living in Western Sydney construct and express their identities through their popular culture. The Riverina’s German communities grew and prospered in the late 19th and early 20th centuries via the local wool and agricultural industries – before enduring wartime persecution. The stories of different generations of migrant couples including the experiences of those in cross-cultural marriages.